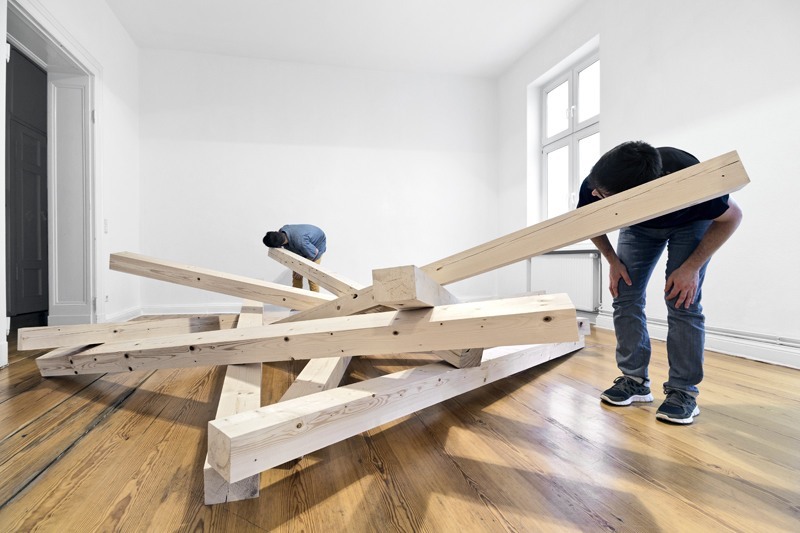 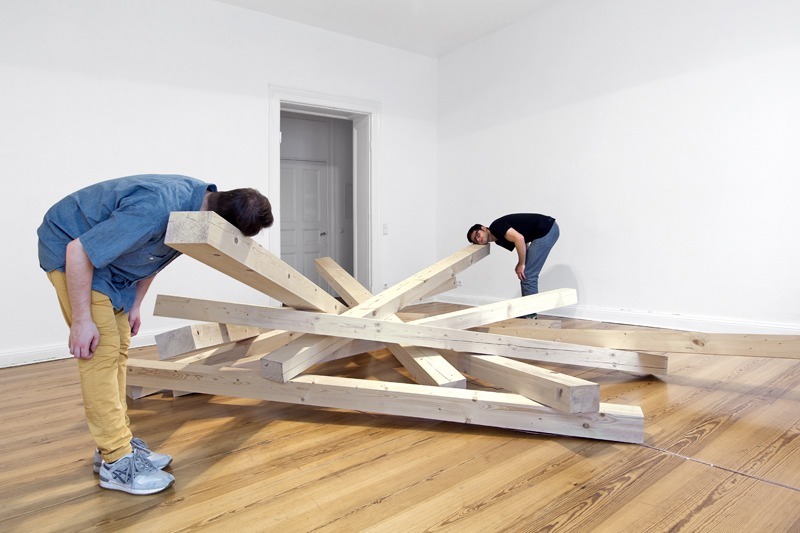 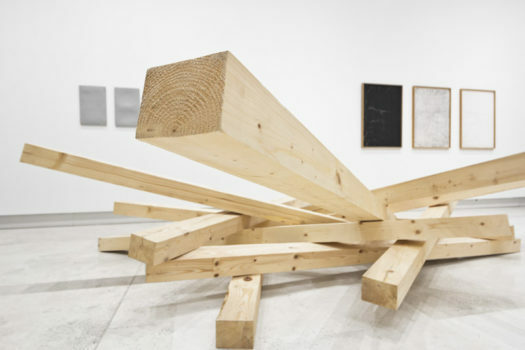 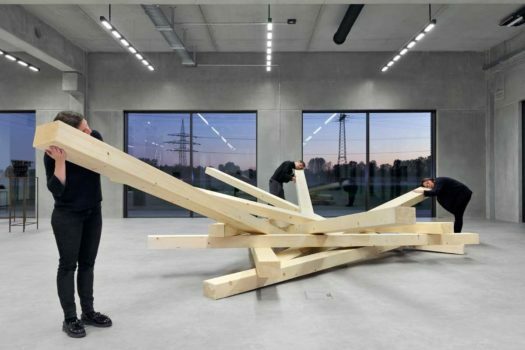 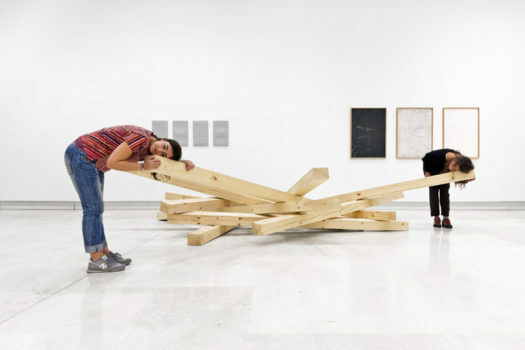 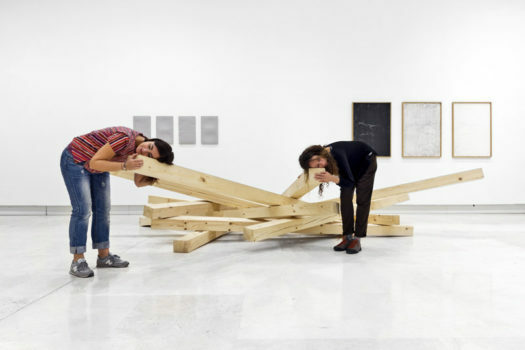 The sound installations Listening Is Making Sense use wooden beams as vectors for the propagation of sound vibrations diffused through the wood by tactile transducers (loudspeakers that convert the audio signal into mechanical vibration). 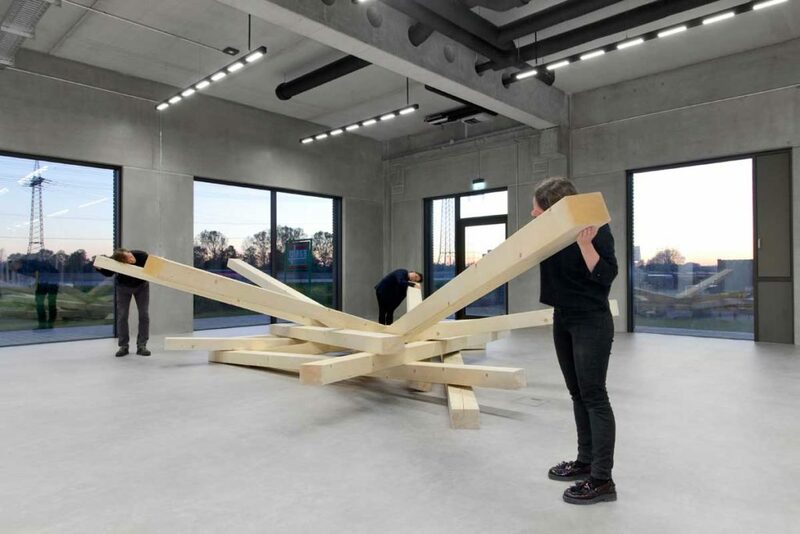 The transducers are positioned in the barycenter of the structures so that the sound can propagate by contact through the beams and change its frequencies and dynamics according to the different properties of filtering and absorption of the sound waves by the wood. 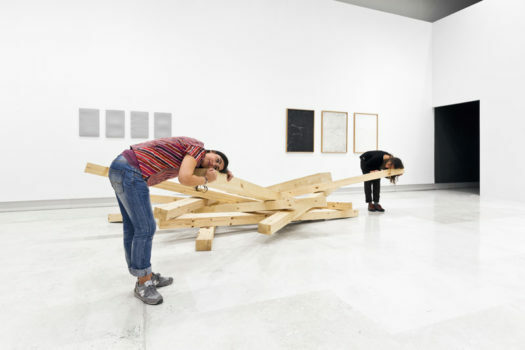 The sculptures are apparently silent and the only way to listen to them is therefore to get into physical contact with the resonant matter by placing the ear straight onto the wood.